One bedroom luxury holiday lodge overlooking the lake and woodland area with private outdoor hot tub. 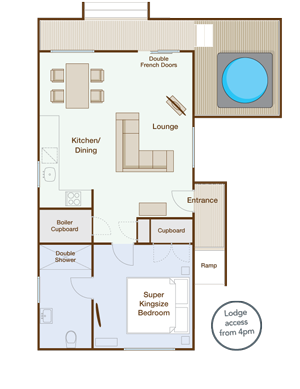 These one bedroom holiday lodges have master bedroom with superking size pocket sprung bed with large en-suite bathroom. Large open plan kitchen, dining and lounge area. This luxury lodge is perfect for that romantic getaway. 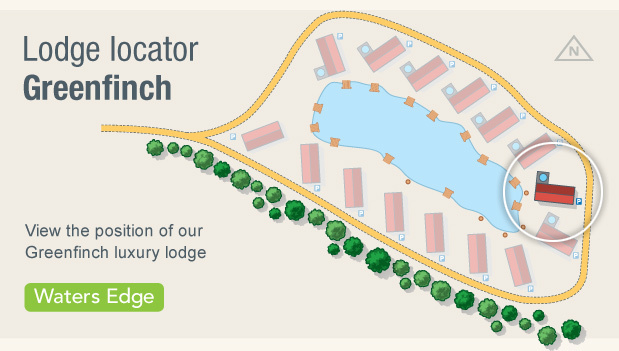 Download our Greenfinch Lodge Layout & Location PDF.